Knox Avenue: Retail, Banking, Arts and Sports. Is there anything this family doesn’t do? Today’s post was inspired by my trip this past week to the Knox Farm for the Junior League’s Decorator’s Showhouse. The house is open until May 19th. The Aurora Historical Society is also doing walking tours of the Village of East Aurora that includes Millard Fillmore’s House and the Elbert Hubbard Museum. I highly recommend heading out to East Aurora to do both these things! 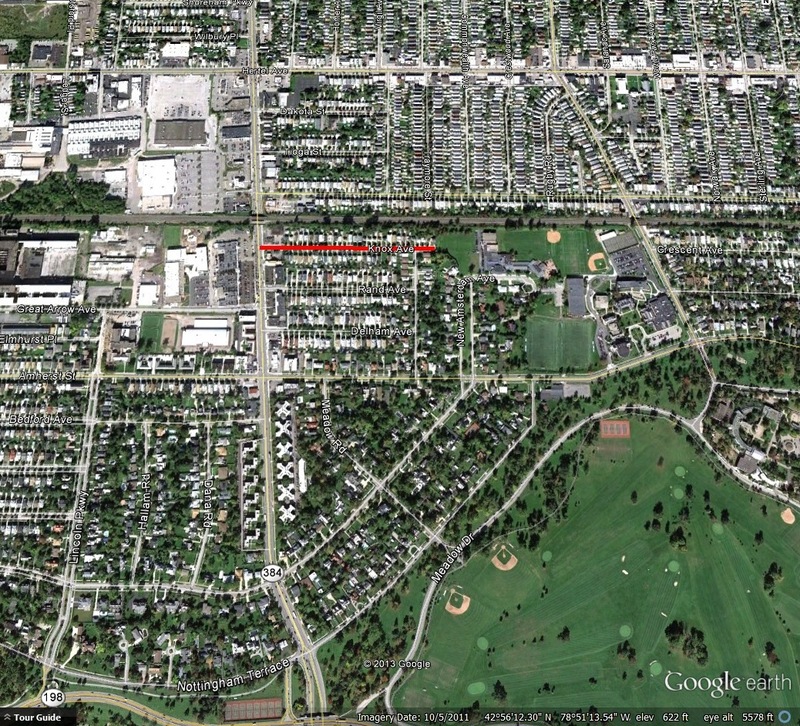 Knox Street is a small street in North Buffalo, just north of Delaware Park. The street is named after Seymour H. Knox I. The Knox family has been an important family in Buffalo since the early 1900s. Seymour Horace Knox I was born in Russel, New York in April 1861. His great-grandfather fought in the American Revolution after coming to Massachusetts from Belfast, Ireland in 1737. Seymour attended local schools. At 17, he moved to Hart, Michigan, where he worked as a sales clerk. He then moved to Reading, Pennsylvania where he entered into a partnership with his cousins. 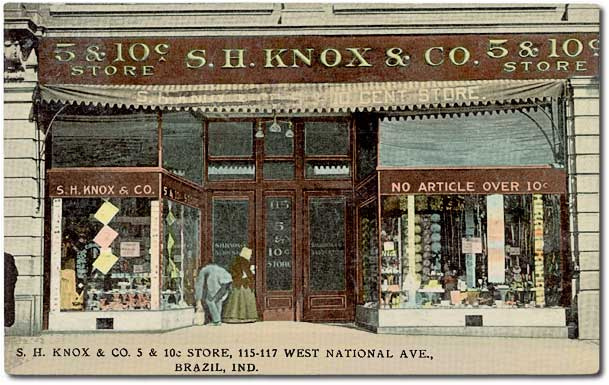 The Woolworth & Knox store opened on September 20, 1884. Seymour used his entire life savings to enter into the partnership. The second store opened in Newark, New Jersey and the third store opened in Erie, Pennsylvania. The first Buffalo Store opened in Buffalo on October 13, 1888 at 409 Main Street. In 1889, he bought out his cousins, but kept a business relationship with his cousins after the buyout. Seymour opened S.H. Knox Co 5 and 10 Cent Store in 1890, partnering with Earle Perry Charlton. The first store was in the 409 Main Street location. He second store opened at 549 William Street on June 20, 1891. In 1893, the Main Street store moved to 519 Main Street after the first store was destroyed by a fire. In 1895, the store moved to 395 Main Street. At the time of the 1911 incorporation of F.W. Woolworth Company, Knox operated 98 US and 13 Canadian locations. In 1912, he received $12 Million of the merger proceeds and was appointed Director and Senior Vice President of the Corporation. In 1913, Seymour purchased Stephen Clement’s interests in Marine National. At his death, Seymour was Vice President of the Woolworth Co. and Chairman of the Board of the Marine Trust Co. He was the first of three generations of the family to serve as Chairman. Seymour married Grace Millard in 1890. 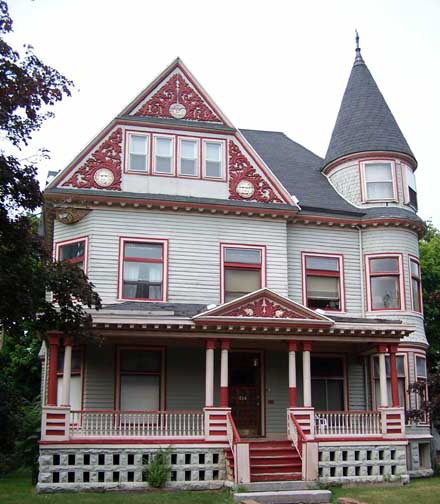 Seymour and Grace first lived at 414 Porter Avenue. They then moved to 467 Linwood Avenue. 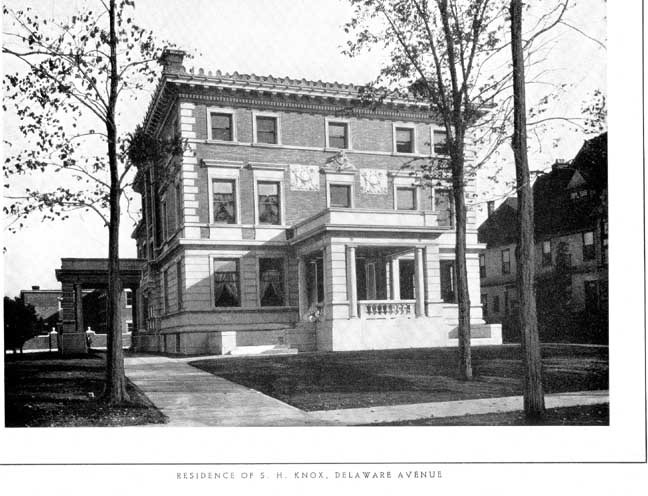 Seymour then built the house at 1035 Delaware Avenue in 1903. The Knox family lived in the 1035 Delaware House until 1918. They had three children: Seymour II, Marjorie and Dorothy. Grace established the University of Buffalo’s first endowment fund in 1916 when she donated $250,000. Following Seymour I’s death, Grace Millard Knox began construction on the 806 Delaware Ave Mansion following her husband’s death. The Grace Millard Knox house is now known as 800 Delaware Avenue and is now owned by Computer Task Group. Seymour’s sister Dorothy Knox married Frank Goodyear. Dorothy and Frank built the Knox Farm House in 1916 as a summer home. She later sold the house to her brother, Seymour II. 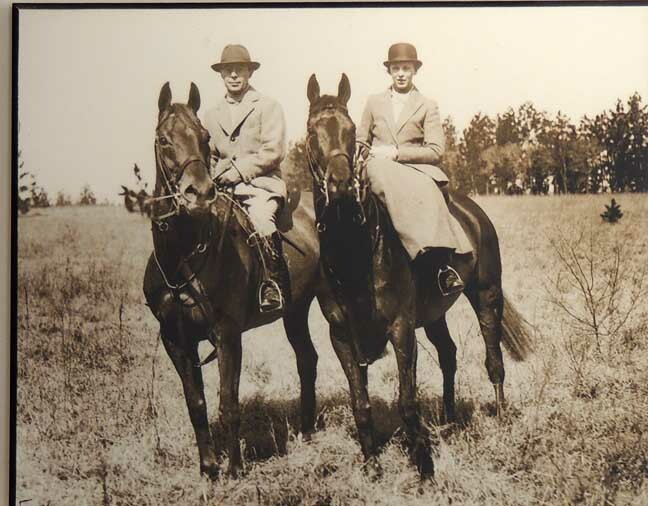 Following Seymour II’s death, Seymour III and his wife lived in the Knox Farm house. New York State acquired the 633-acre farm in 2000 to create the Knox Farm Park. The house is currently on display through the end of May as the Junior League’s Decorator’s Showhouse. Seymour Knox I died on May 17, 1915. 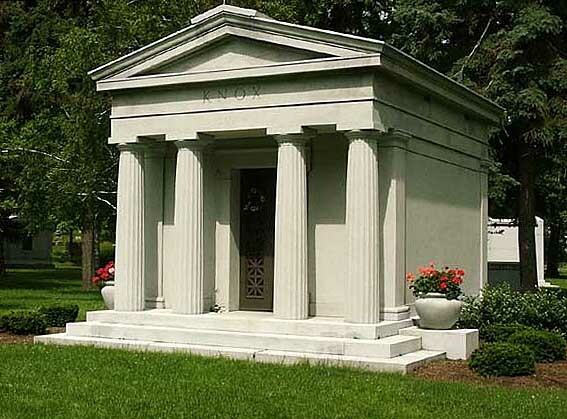 He is buried in Forest Lawn at the Knox Mausoleum. Seymour II was born on September 1, 1898 and was known as Shorty due to his height. Shorty attended Hotchkiss Preparatory School and graduated from Yale in 1920. His interest in art began with his parents, who were active in the Buffalo Fine Arts Academy. He joined the Board of the Buffalo Fine Arts Academy in 1925. In 1939, he and his family donated money to establish a room of contemporary art in memory of Grace Millard Knox. The gallery used this money to purchase works by Picasso, Matisse, Mir, Mondrian, Beckmann and Braque. During the 1950s, the director of the gallery allowed Shorty to buy pieces by abstract expressionist painters. The Albright was the first museum in the world to buy works by Clyfford Still. The artist gifted 31 paintings to the gallery. Shorty served as chairman of the New York State Council on the Arts from 1960 to 1975. In 1986, he was awarded a National Medal of Art at the White House by President Reagan for his contributions to the arts in Buffalo and the Nation. Shorty married Helen Northrup Knox. 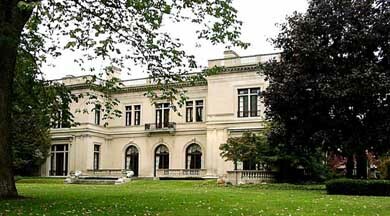 Helen and Shorty lived at 57 Oakland Place, in a house on the estate of Grace Millard Knox’s 806 Delaware Avenue mansion. They had two children, Seymour III and Northrup Rand Knox. Shorty died in 1990. Seymour III was born in March 1926. Seymour III was educated at Yale and Columbia before becoming a Corporal in the United States Army Field Artillery in World War II. He then embarked in a successful banking career. Northrup Knox was born 1928. 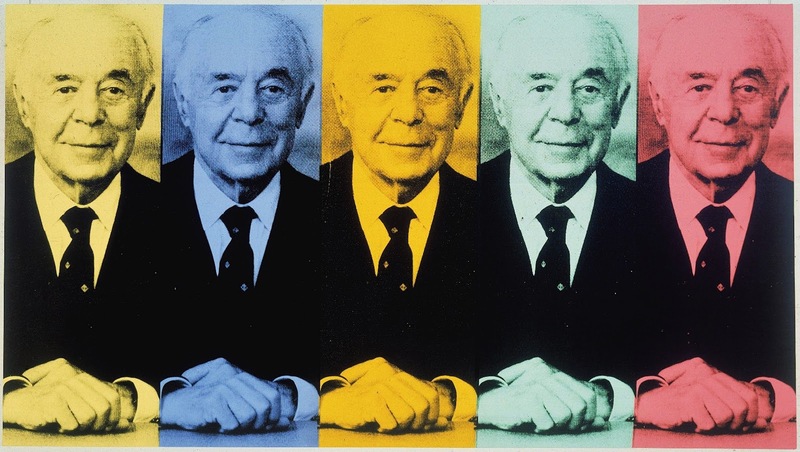 Northrup served as Chairman of Marine Midland Bank, Director of the Seymour Knox Foundation, and Vice President and Director of the Buffalo Fine Arts Academy. Northrup was closely associated with the University at Buffalo, following in the family connection with UB that started with his grandmother’s endowment fund. Northrup served as director of the UB Foundation. Northrup received the UB President’s Medal in 1994. 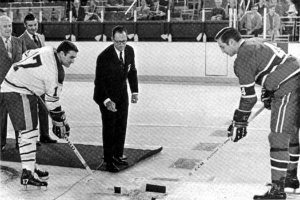 Northrup and Seymour III are best known in Buffalo for bringing major league hockey to Buffalo with the Buffalo Sabres in 1970. The Sabres colors of blue and gold were chosen because those were the colors of the Knox family Polo team. The Knox brothers first applied for a NHL franchise in 1965, but were unsuccessful. In 1969, their efforts to bring a team to Buffalo were successful. They assembled what was considered to be a top-rated operation. The Sabres qualified for playoffs in only their third season and reached the Stanley Cup Finals within the first five seasons. In 1975, Seymour III was named the Hockey News Executive of the Year. Seymour III served on the NHL’s Board of Governor’s for 25 years and was director of the US hockey Hall of Fame. The Knox brothers were also behind the establishment of the Buffalo Bandits lacrosse and Buffalo Blizzard soccer teams. Seymour III was inducted into the Hockey Hall of Fame in 1993. Northrup and Seymour III were both inducted into the Greater Buffalo Sports Hall of Fame in 1992 and the Buffalo Sabres Hall of Fame in 1996. The brothers owned the Sabres until their deaths in 1996 and 1998. The Knox family is still an important family in Buffalo today. Seymour IV is on the board of several local organizations. You can also check out Discovering Buffalo…One Street at a Time on Facebook.! “Northrup R. Knox, 69, banker sportsman, community leader”. UB Reporter Obituary. Volume 30, Number 1. August 27, 1998. I really enjoyed your work on the Knox family! Thanks Angie!